The Paris-based organisation highlighted in a report last week that the number of refugees in OECD countries has increased from about two million in mid-2013 to six million today. This has added pressure on public services, such as education and housing, and budgets to support the integration of refuges should be boosted to help local authorities manage future inflows of humanitarian refugees, the OECD said. 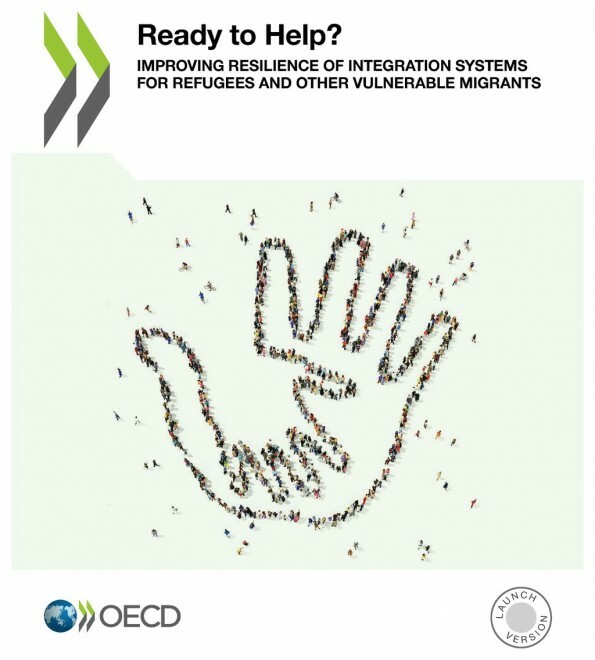 “Integration is as great a challenge if not greater than the challenges linked to initial reception of refugees and other vulnerable migrants,” said Ulrik Vestergaard Knudsen, OECD deputy secretary general, launching the report in Paris on Friday. “Ensuring better integration requires an up-front investment,” he added. Although many countries have already boosted their budgets, resources are only adequate if there is an effective plan in place, the report said. This includes ensuring that public services are adapted to take on the inflows of migrants. For example, health systems need to be able to take on the increase in patients while education should be adapted to help refugees “choose the right pathway”, including providing language education. Refugees often face hurdles in integrating into the labour market, due to lower education levels and language barriers. In Austria, Greece and Sweden, recent flows of migrants will increase the labour force by 0.5% and in Germany by 0.8%, the OECD estimated. In Turkey, Syrian refugees already represent about 3% of the working-age population. “[Countries should be] stepping up efforts to help refugees and vulnerable migrants find and stay in work. “This includes improving transparency and simplicity in pathways to access the labour market; mainstream employment support; skills recognition; and language support,” the OECD said. The report also called for countries to work together to improve integration of refugees. “No country can address the complexity of integration of refugees and other vulnerable migrants alone,” it said. The OECD added that countries were “caught off-guard” by the recent refugee crisis and lacked an “effective framework for sharing and using information to capture early signals of impending surges”. There was also no “agreed mechanism for collaboration and mutual aid”, which is “essential”, the report said. The report said OECD countries could be better prepared for large inflows of refugees in the future through the development of collaboration with partners abroad and domestically, such as other governments and civil societies. Since 2015 a rising number of migrants from Africa and the Middle East have arrived in EU countries, coming across the Mediterranean Sea and through southeast Europe. The biggest reasons for the rise in migrants was refugees fleeing the civil war in Syria.